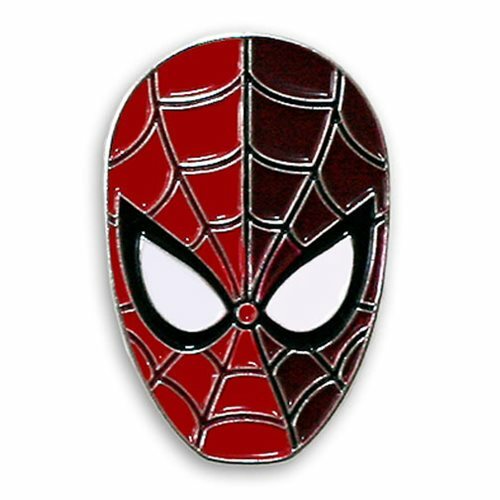 Wear the head of the Spider-Man for all the world to see with this Spider-Man Enamel Pin! This soft enamel pin on shiny silver nickel is approximatley 1 1/2-Inches tall. This single post with butterfly clutch backing was designed by Tom Whalen. Ages 15 and up.